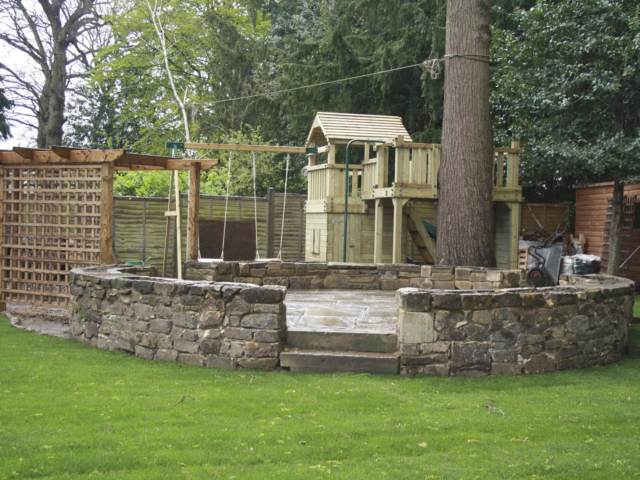 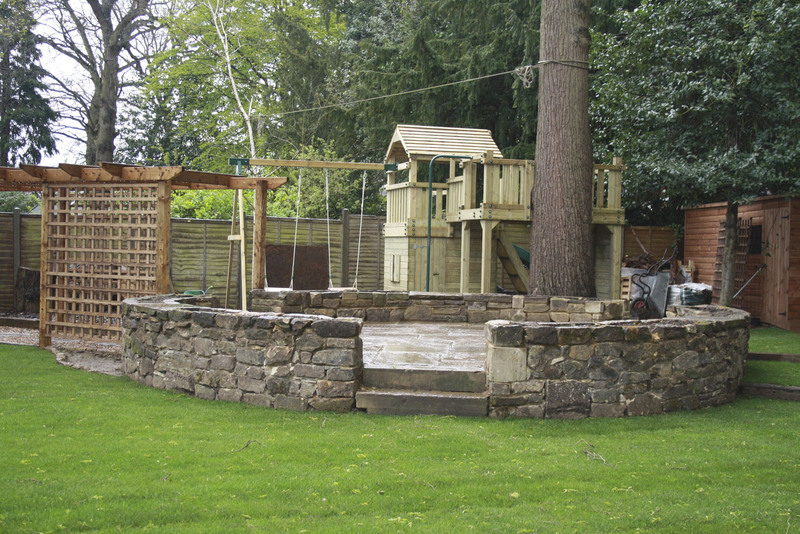 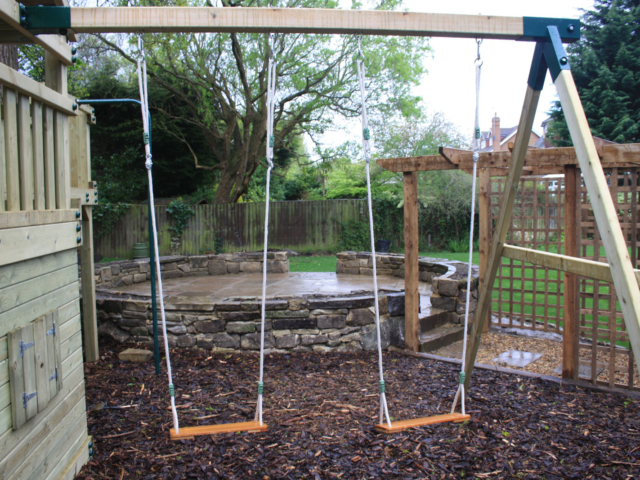 The circular patio was the focus of the garden and we also created a play area, pergolas, a tree house laid a new lawn over the drainage. 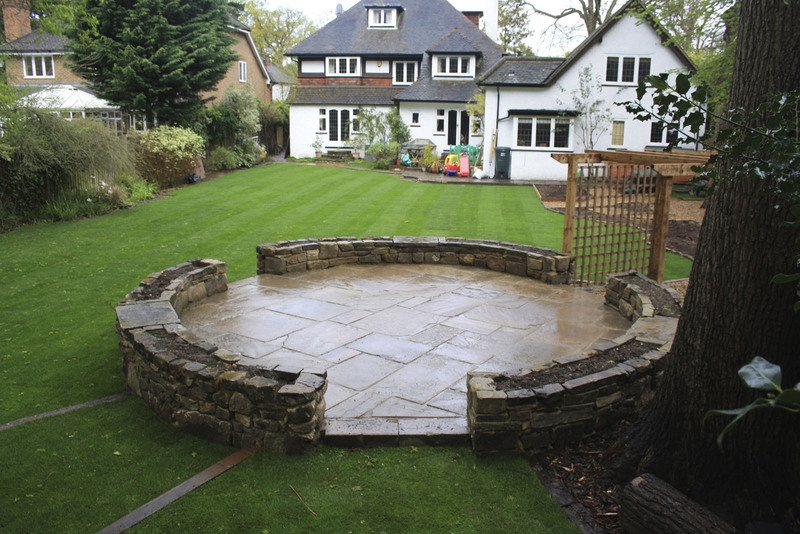 Although the project was very challenging and laborious, it was hugely satisfying to create such a bespoke and unique garden. 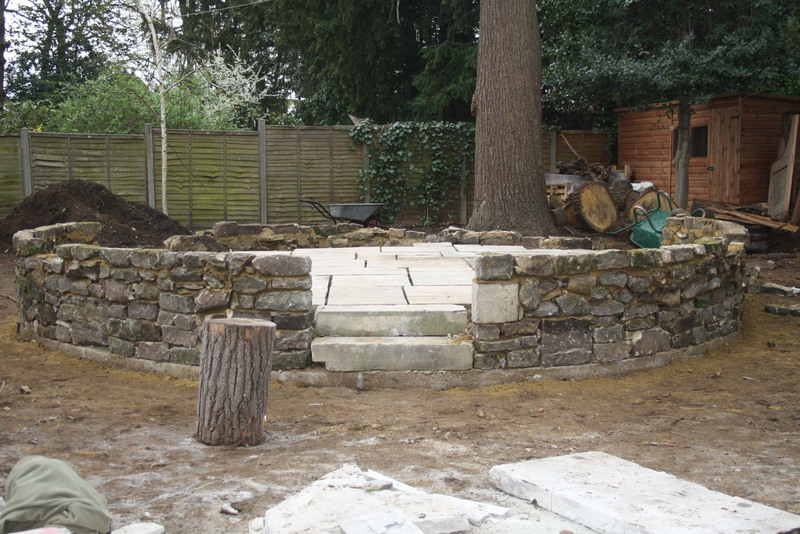 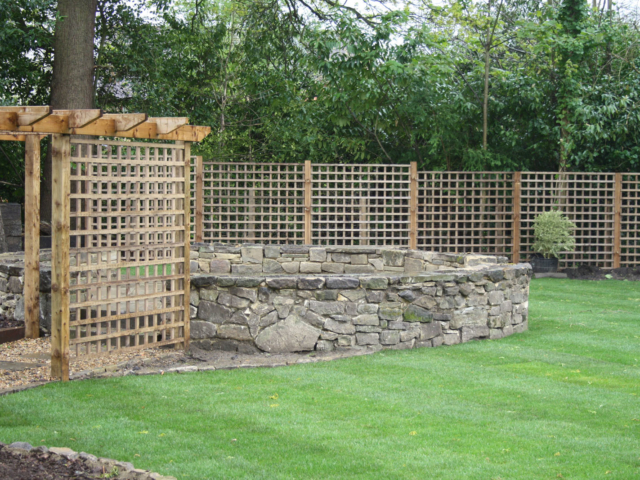 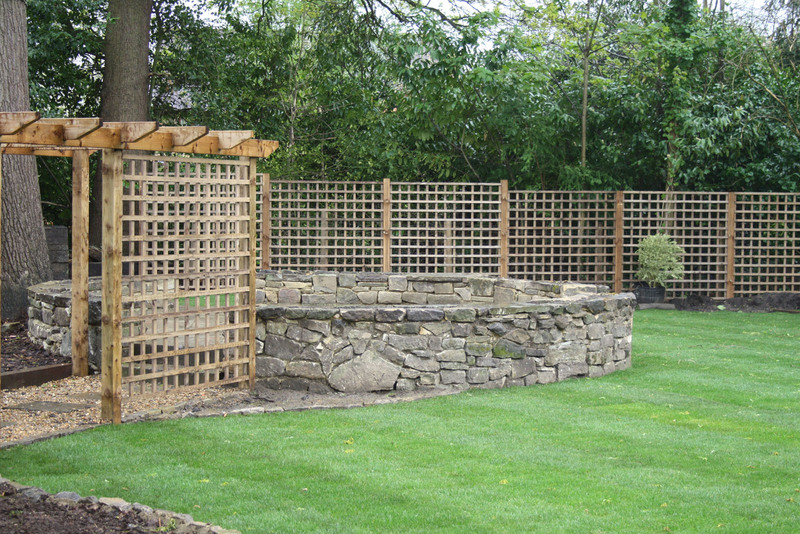 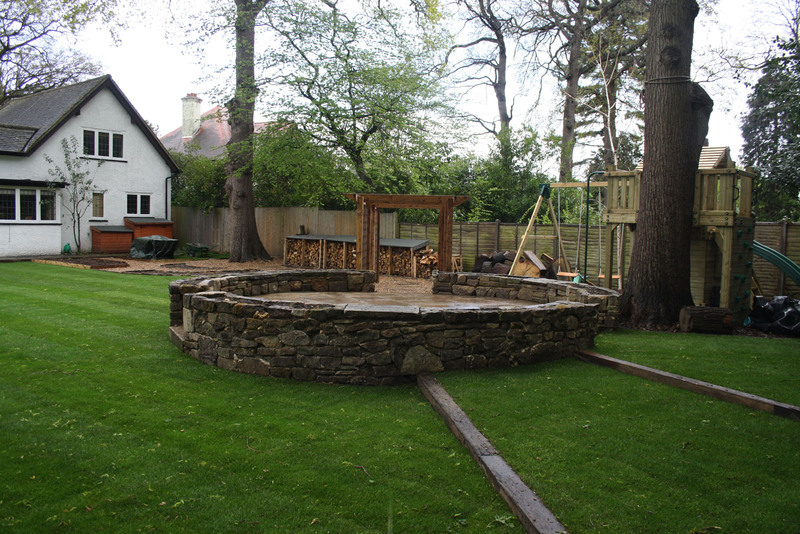 We were commissioned to construct a total garden refurbishment, with the focal point a bespoke, raised circular patio. 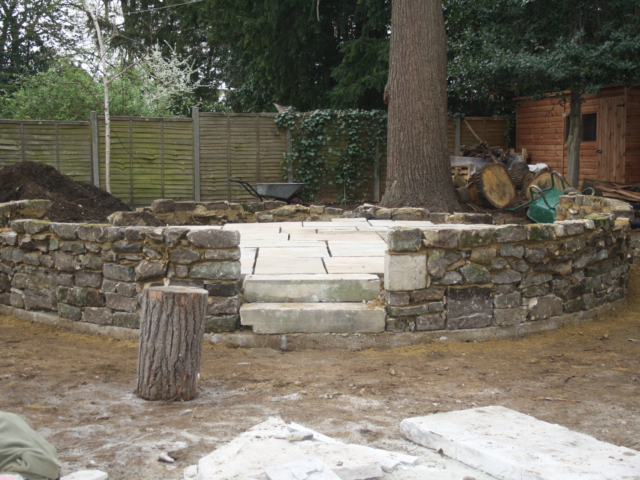 For the walls we used reclaimed dry walling and for the patio we used reclaimed Yorkstone flagstones. 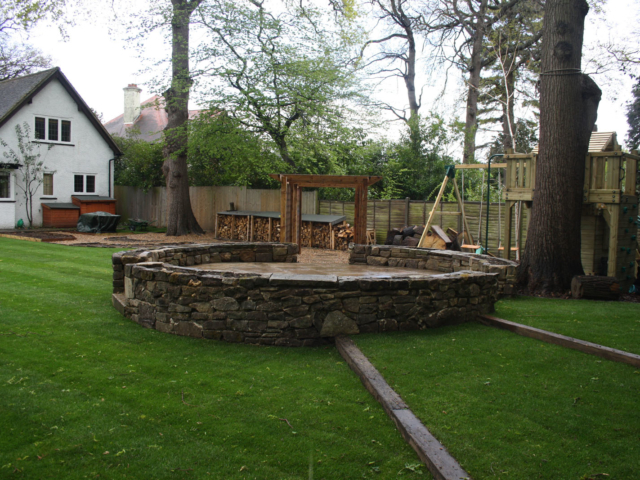 The walls were the biggest challenge, as we created a perfect circle, which was level and plum, using hundreds of different sized rocks. 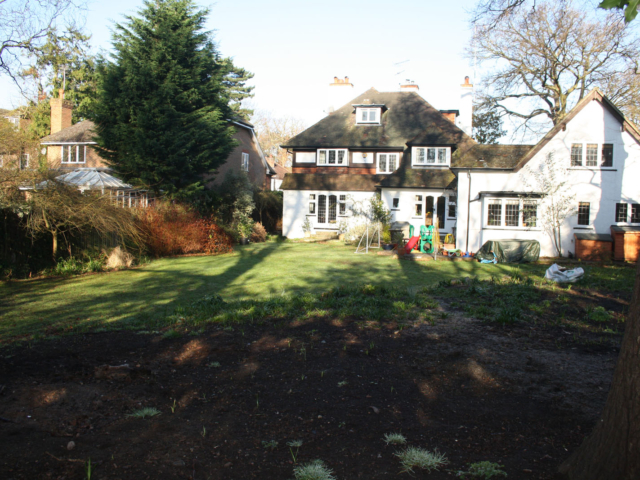 Upon our initial site visit, the bottom of the garden was severely flooded. 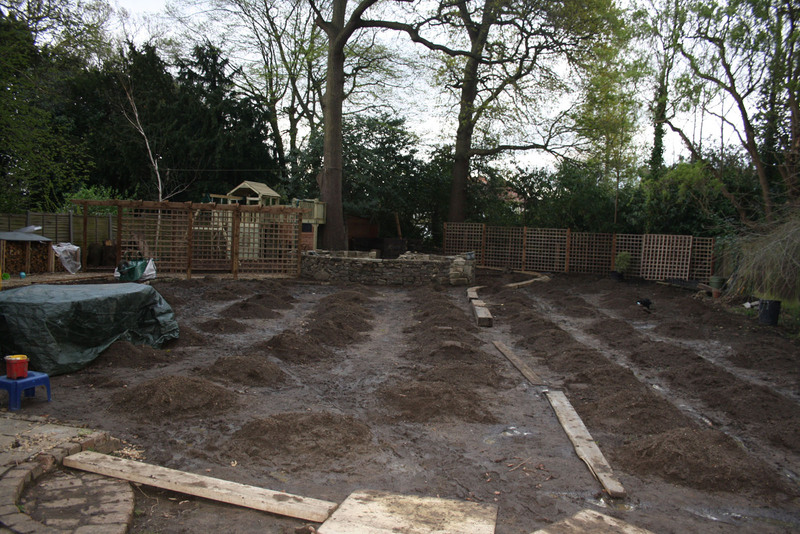 This was a very important issue to address as the garden was almost out of use for half of the year! 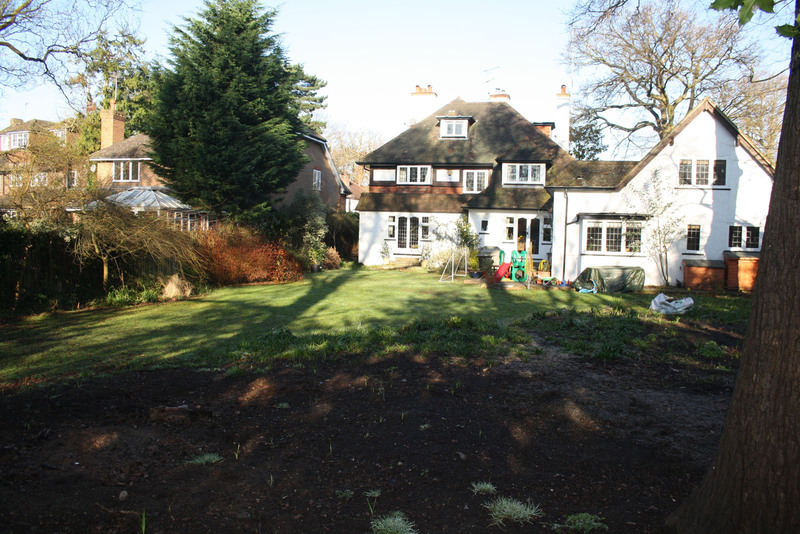 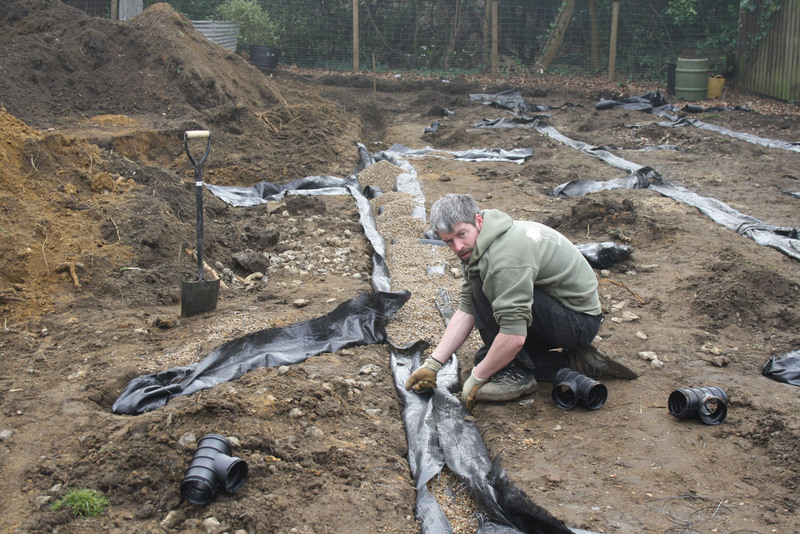 We installed underground lawn drainage which led to a main soakaway and also an overfill soakaway. 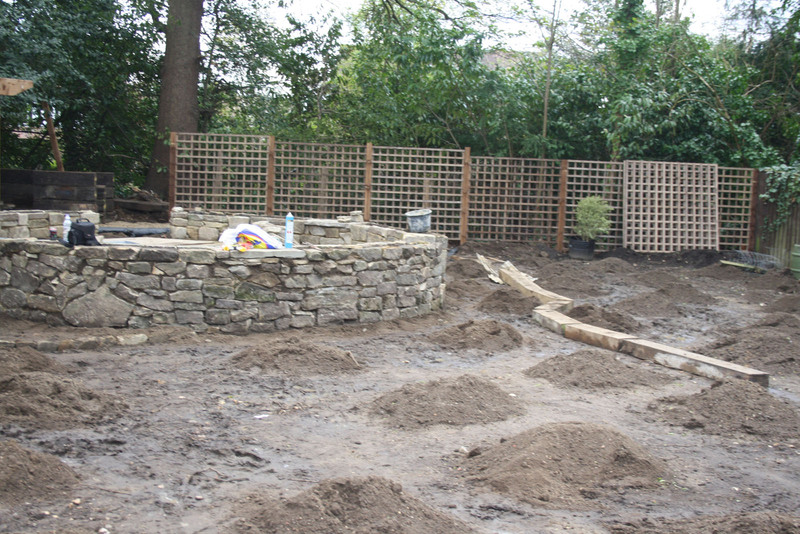 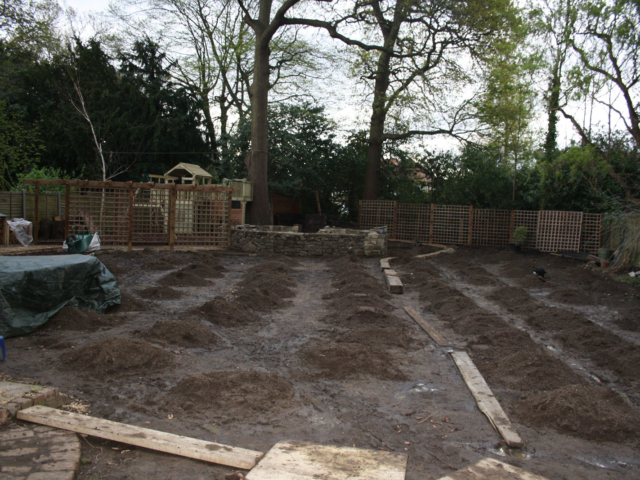 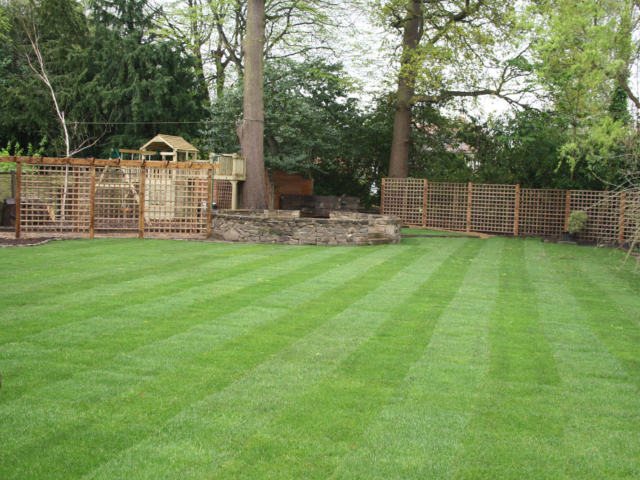 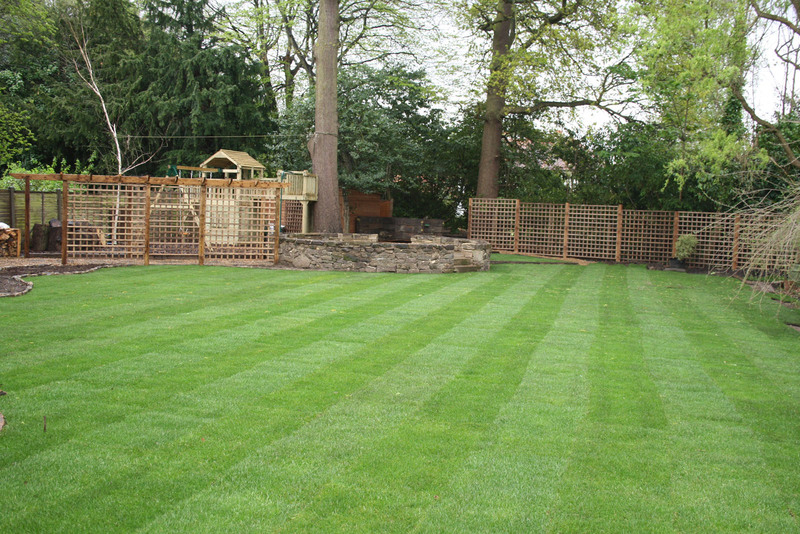 The work was demanding and laborious, but essential to ensure that the garden was user friendly all year round. 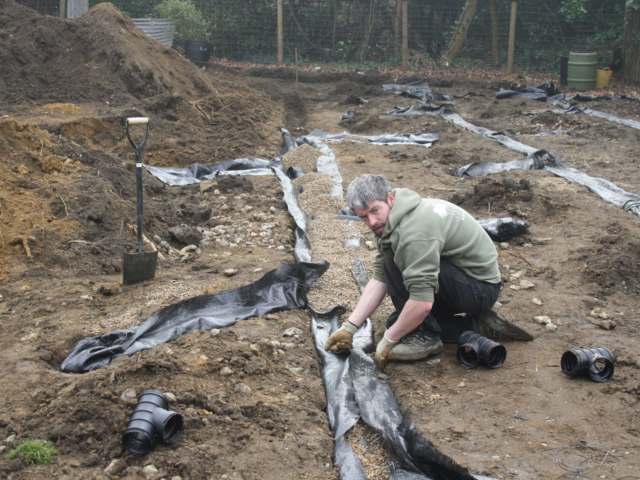 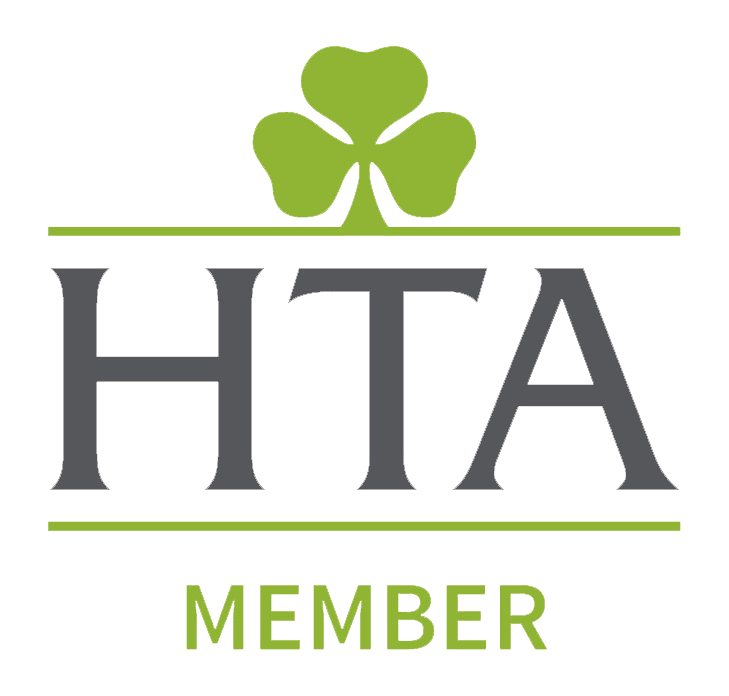 Our clients have since had no problems with flooding. 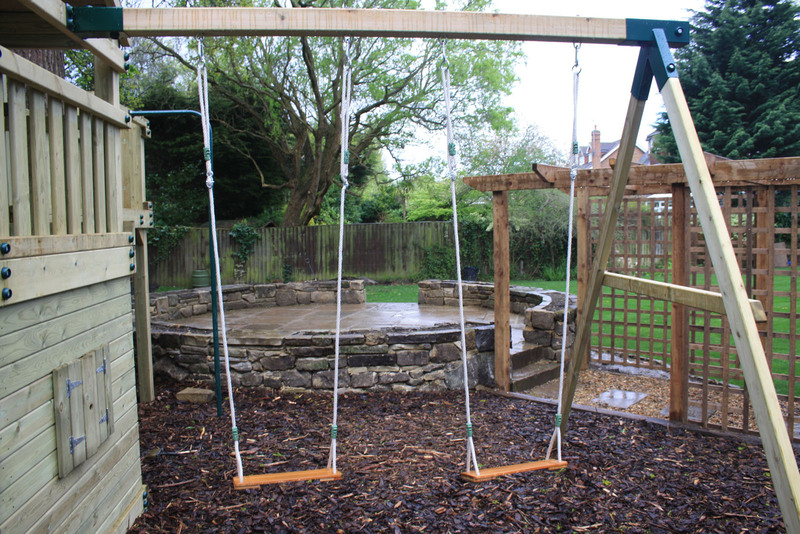 The circular patio was the focus of the garden and we also created a play area, pergolas, a tree house laid a new lawn over the drainage. 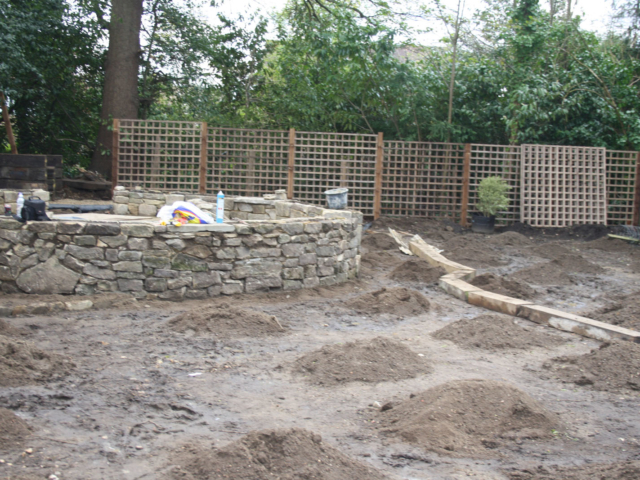 Although the project was very challenging, it was hugely satisfying to create such a bespoke and unique garden. 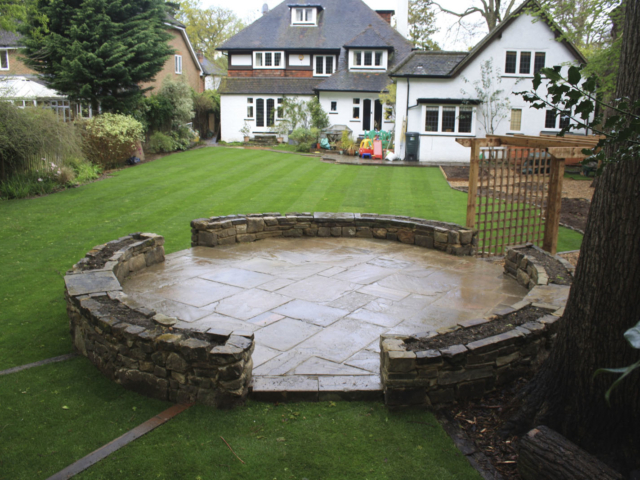 The clients were over the moon with the project and have been enjoying their unique garden ever since!